Rip Blu-ray and DVD How to watch Blu-ray movies on iPad Pro? How to watch Blu-ray movies on iPad Pro? How can I watch Blu-ray on iPad Pro? Recently, the movie “Mission Impossible 5” starred by Tom Cruise is aggressively in cinema. I’m very excited, because I am a Tom Cruise fans. However, due to my busy work, and I will go on a business trip half a month, I have no spare time to go to the cinema for enjoying this movie, so I bought Blu-ray Disc and plan to watch the movie on my iPad Pro in spare time. But I don’t know how to transfer Blu-ray to iPad Pro for watching directly and simply? Should download a Blu-ray Player for iPad Pro? The iPad Pro is Apple’s largest iPad yet, with a 12.9-inch 2732 x 2048 resolution display, a powerful A9X processor, a super slim design, and a four-speaker audio system. The iPad Pro’s display has a resolution of 2732 x 2048 at 226 pixels per inch, for a total of 5.6 million pixels, more than any other iOS device. The iPad Pro has “all day” 10-hour battery life despite its massive screen. You can enjoy HD movies on the gorgeous screen when you are in spare time. Due to the new feature, most people may eager to get the Apple latest tablet. With the improvement of Blu-ray storage technology, Blu-ray disc can store larger, clearer video. Although digital technology is becoming more and more mature, the Blu ray Disc still has many fans. Collecting Blu-ray discs is absolutely not outdated. In fact, this is more like a nostalgic feeling. A lot of people are willing to buy Blu-ray disc for watching together with their families at home. However, if you want to watch Blu-ray on iPad Pro or play Blu-ray movies on iPad Mini, iPad Air, iPhone XS, you will be in trouble. Because Blu-ray movies are all copy protected, and Blu-ray file is not supported by iPad Pro. So in order to play Blu-ray movies on iPad Pro successfully, you need to rip and convert your Blu-ray to iPad Pro supported format. Therefore, a Blu-ray ripping software is needed. You can try our iPad Pro Blu-ray Ripper here. With the Blu-ray iPad Pro Converter, you can rip all your Blu-ray movies to iPad Pro playback formats. After ripping, you can sync the Blu-ray movies to iPad Pro via iTunes for playing on the go. Now download the right version and follow the tips below to finish your task. 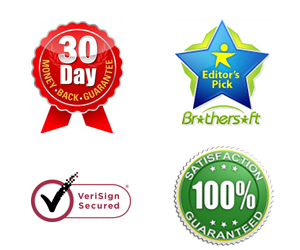 Tip: Our software comes with no-risk 30-day money back guarantee, besides, we provides free updates for all lifetime. Guide: How to rip and convert Blu-ray for iPad Pro? 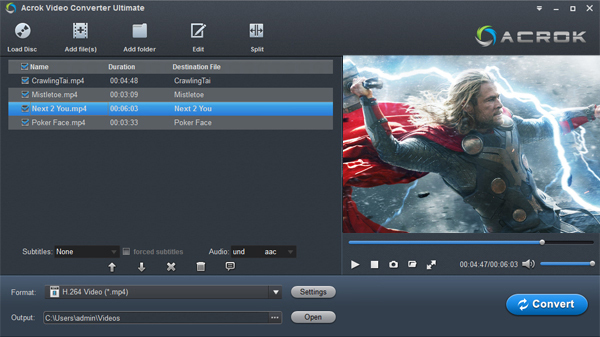 Lunch the Acrok Video Converter Ultimate, then insert Blu-ray discs into your Blu-ray ROM on your PC. Click “Load Disc” to load Blu-ray movies into the iPad Pro Blu-ray Ripper. 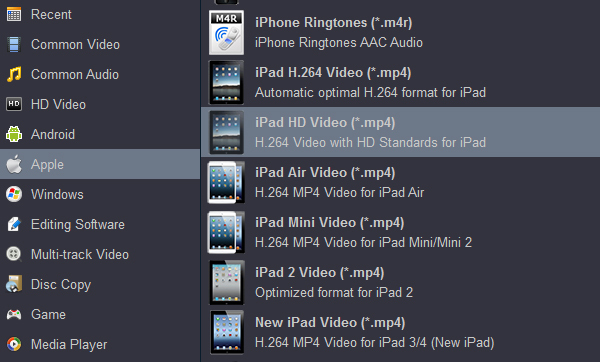 Click the drop-down button on the right side of the “Format” to select suitable format from “Apple” > “iPad H.264 Video (*.mp4)”. After all necessary settings, hit the “Convert” button to start ripping Blu-ray to iPad Pro. Then you can click “Open” to get the ripped files. How to or sync ripped Blu-ray videos to iPad Pro? After read the iPad Pro Blu-ray playback solution, I’m sure you’ve learned how to watch Blu-ray movie on iPad Pro. Don’t hesitate, just try.